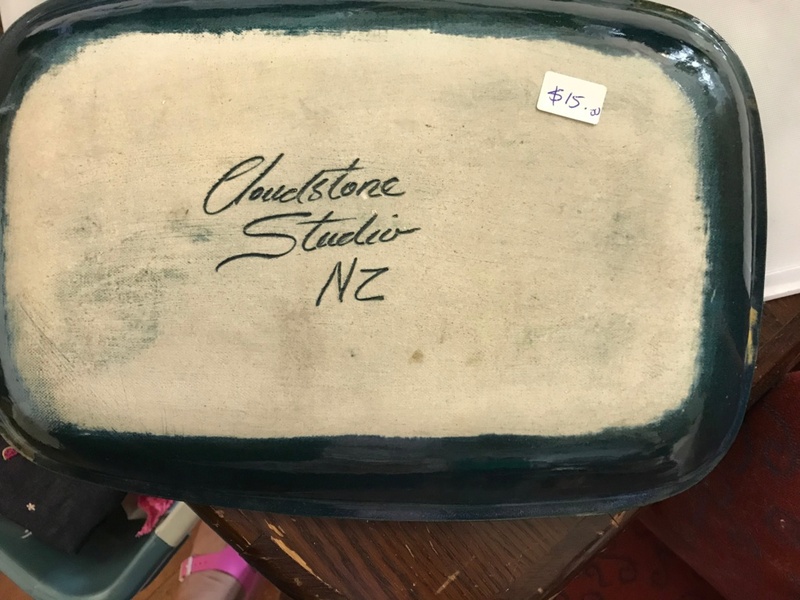 At last I found a piece of Cloudstone pottery! Someone was asking about it somewhere and I thought it was on here, but I can't find it. They wanted to get some more as they loved it so much. 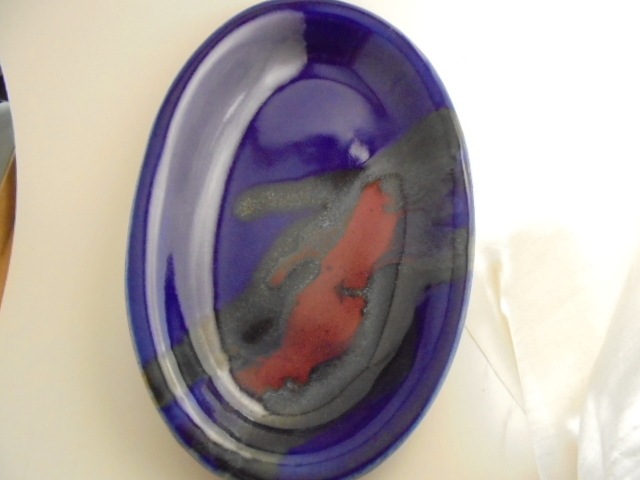 Well here is a dish and it has several different coloured glazes on it. 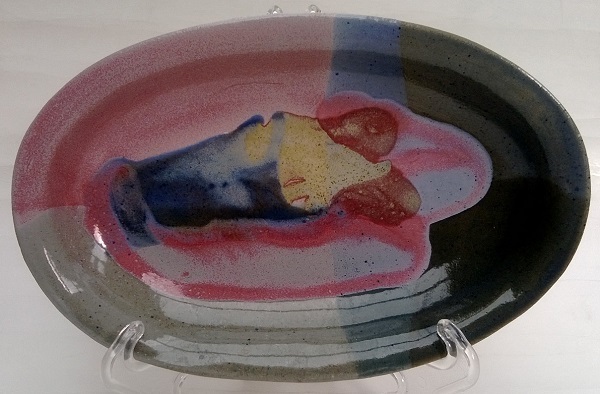 This is stoneware and has been high fired. 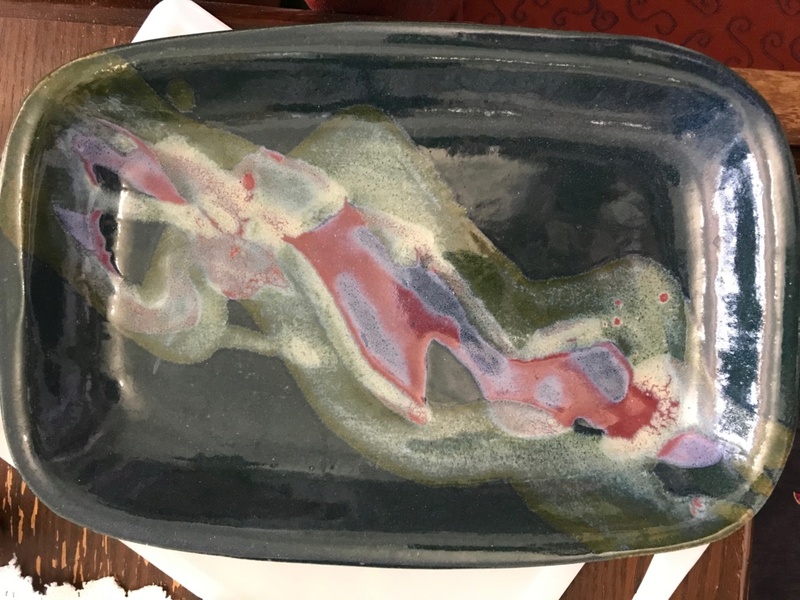 The dish has been made using the slab technique. 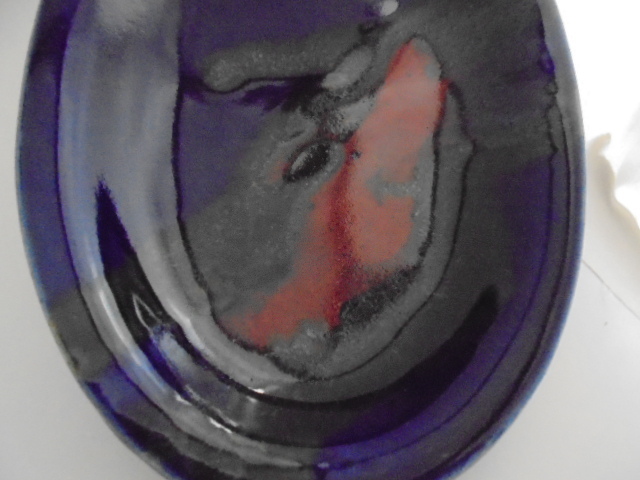 I have 6 bowls and plates in purple/mauve tonings plus a 2 cat ornament of Cloudstone pottery. 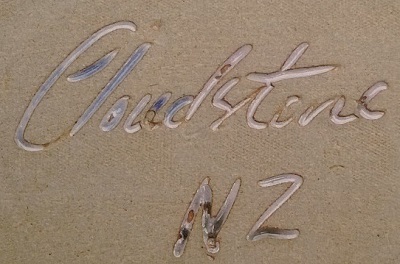 They were purchased from a collectives craft shop in Botany, Auckland in early 2000. I understand the potter went to Australia when I enquired to buy more. Shop no longer there. 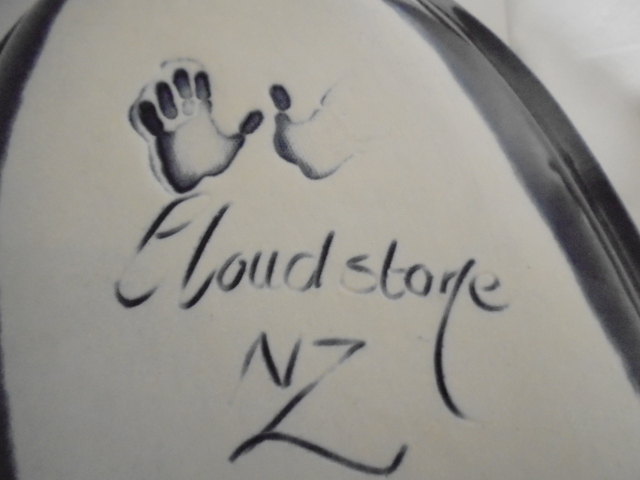 Thanks and I will add to the Gallery on Sunday when I have time.